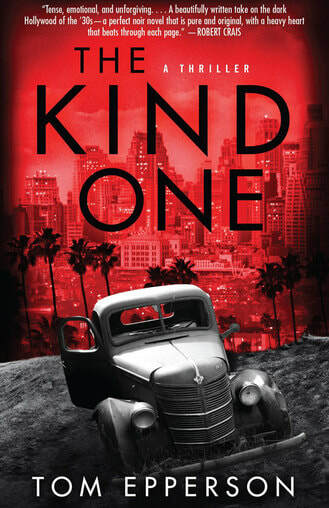 In the kill-or-be-killed criminal underworld of 1930s Los Angeles, "Two Gun Danny" Landon has a distinct disadvantage. According to the fellas, he used to pull all kinds of shoot-ups and shenanigans...but damned if he can't remember a thing from before last year, when he got hit over the head with a lead pipe. Sadistic mobster Bud Seitz -- known to friends and enemies alike as "The Kind One" -- seems to have big plans for him, but truthfully, Danny can't stomach the dirty work. His aim is off, the other wiseguys laugh at him, and he'd gladly trade in the drunken parties and the endless broads for a day at the movies with his colorful and mysterious neighbor Dulwich and eleven-year-old Sophie, whose deadbeat mother delivers an endless stream of emotional and physical abuse. But when Bud's beautiful girlfriend Darla begs Danny to help her escape the Kind One's dark, brutal world, Danny must confront a dangerous test of loyalty that could irrevocably change his future -- and his past -- forever..